Boils or skin abscess are skin infection that can occurs due to the release of toxins in body. They are especially found in areas that have ingrown hairs, foreign materials lodged within the skin, any cuts or areas exposed to friction or sweat. They appear as hard and painful red lumps on the skin which can be very irritating. Although boils are not contagious, the bacteria causing the boils are. People who suffer with acne, eczema, diabetes, obesity, kidney problems, blood disorders, cancer, AIDS, alcoholism, etc. are more prone to develop them. It is not a harmful or serious health problem and there are many homemade remedies that can be used to treat boils and one of the most effective and old folk remedy is onions. 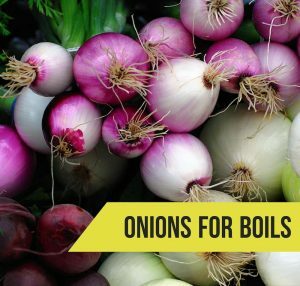 Is Onion good for Boils? Onions have 25 active compounds that include sulfur, flavonoids (Quercetin) and potassium salts which have anti – inflammatory properties to get rid of the pain. It contains essential oils that exhibit properties like expectorant, antiseptic, analgesic, antifungal and anticoagulant to fight against boils and prevent its recurrence. Red onions are most effective for eliminating the toxins and disinfecting the wounds. It helps for proper circulation of blood and thus draws out the pus from boils for quick relief. Regular usage of onions will not only mature and flatten the boils but also helps to clear the pus which in turn results in preventing the growth of infection. It contains antiseptic chemicals that act as an anti-microbial irritant and treats boils by heating them and drawing blood to the infected area. It is an absorbent that helps to draw out the bad stuff from the boils. It aids to burst and thus alleviates the pain and inflammation. Follow these effective methods to treat skin abscess quickly without recurrence. Cut 1 onion into thick slices and place them over the boils. Secure with a bandage or cloth to draw blood along with generating heat to boil. Leave for 4 – 5 hours or overnight. Then change this poultice with new one. Continue doing this process regularly until the boils come to a head and drains. Or you can place heated or roasted raw onion slices on boils. Alternately, cover the boil with onion slices, garlic cloves and potato slices or the juice of these 3 ingredients and secure it with a gauze or bandage. Pour 1 cup of water in saucepan and place it on stove. Add a finely chopped onion and stir well. Let it boil for few minutes until the water has reduced by half. Turn off the heat and use this water to rinse the boils after cooling slightly. Or strain the boiled onion water with the help of a muslin cloth and squeeze it to extract its juice. Apply this on boils with a cotton ball daily. This combination increases the blood circulation, reduces the inflammation and draws out the toxins, thus making garlic one of the best remedies for boils. Finely chop 1 onion and 3 – 5 garlic cloves and crush using a sieve. Use a spoon to press it to extract its juice. Apply this juice on the boils, let it dry for few minutes and then wipe off. Rinse it off with warm water and repeat the same for 4 – 5 times daily. Grate onion with a cheese grater and mince garlic with garlic press. Mix them equally and spread the paste on the boils. Cover with a clean cloth as compress and change this for three times daily. Chop an onion into pieces and grind them to make paste by adding little hot water. Apply this paste on the boils and let it dry. Rinse the area with lukewarm water and pat the skin dry. You can also apply any onion extract over the boils to clear them. Bacon is effective in treating boils due to its salt content. Onion creates an irritation inside the boil and heats it up to get rid of the pus. Cut a slice of onion and heat it in a hot skillet until it gets transparent on one side. Cut a square piece from a bacon slice and place it in same pan for few seconds to warm on both sides. Take the middle rings out of an onion and place the bacon piece on skin and seal with the onion rings. Wrap it with gauze and let it sit on boils for a few hours. This process helps to draw out the pus and make the boil to pop up for quick relief. Pour some hot milk over thick slice of bread and stir it well. Add grated onion and mix it to make paste. Apply this paste on the infected boils or sore. Leave it on for few minutes and then wash it off. Follow this process regularly to clear boils along with pain and itching. Mix 1/4 teaspoon of raw honey in 1 teaspoon of fresh onion juice. Stir it well and apply this on affected skin areas. Leave for a few minutes, then wash it off with lukewarm water. Dry the skin and continue applying this mix regularly. You can also place onion which is cooked in olive oil on cystic acne to discharge the pus. Follow these simple tips and precautions to get quick relief without any side effects. Never squeeze a large boil on the skin to prevent the risk of spreading the infection to other body parts. Always use antiseptic soaps and face washes in your daily routine. It’s better to use fresh onion juice every time you apply because the fresh one will ripen the boil and compress it to break it out to eliminate the pus. Avoid the usage of sweet onions. The smaller the onion, the stronger is its flavor and juice. So try to use small onions. For more effective results, use strong smelling red onions rather than white onions. Avoid the intake of onions in excess during pregnancy or breast feeding. 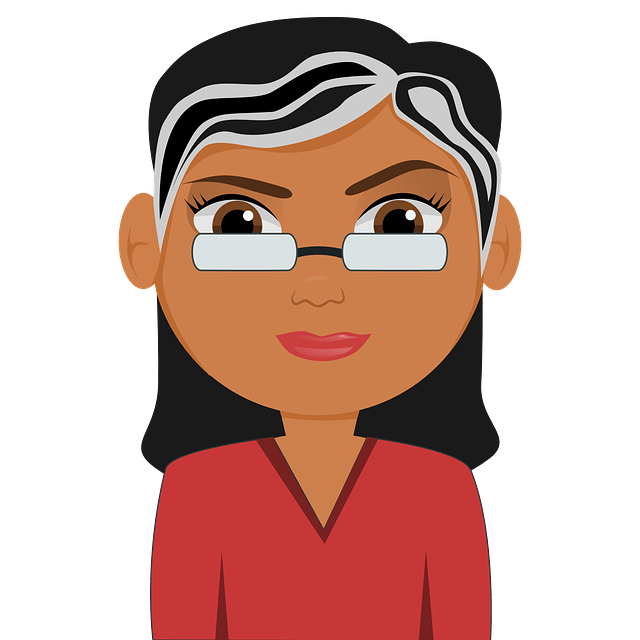 If you’re using anticoagulant or antiplatelet drugs then you should not consume more onions, as it increases the chances of bleeding or bruising. Also avoid using onion if you’re suffering with heartburn. Make sure to do a patch test before use. Choose boiled onions rather than fried onion in your daily diet to reach the recommended daily intake of several vitamins and minerals. Other than onions, include foods that are rich in vitamin A, C & E to get rid of the bacterial infection. Boil are getting larger than 1/2 an inch. You’re getting chills or fever along with a raised temperature. You have diabetes or swelling in other body parts. Make sure to have a healthy and nutritious diet, maintain a healthy weight, always follow good hygienic practices and lead a stress less life to prevent the problem along with its recurrence. You may also want to check out our separate post on treating boils using epsom salt. Give a trial to these methods and don’t forget to share your experience with us. I always have the boiler under my arms , what is causing this? I actually faced a abscess for 5 days. I also used sevaral things ,like worm water,antibacterin . But not much relisf i got. Now i am using onion . How much timecit can take? Actually my exam is going on and this is the biggest problem.